Wow! This has got to be one of my favourite wedding venues in London. Of all the places I work at, when a couple commission me to be their Trinity Buoy Wharf wedding photographer I know we’re going to have a great day and end up with some amazing wedding pictures. I don’t know if it’s the spectacular London skyline in the background, the views across the River Thames to the Millennium Dome, or just the immense feeling of the city’s history folded into the wharf buildings and surroundings. 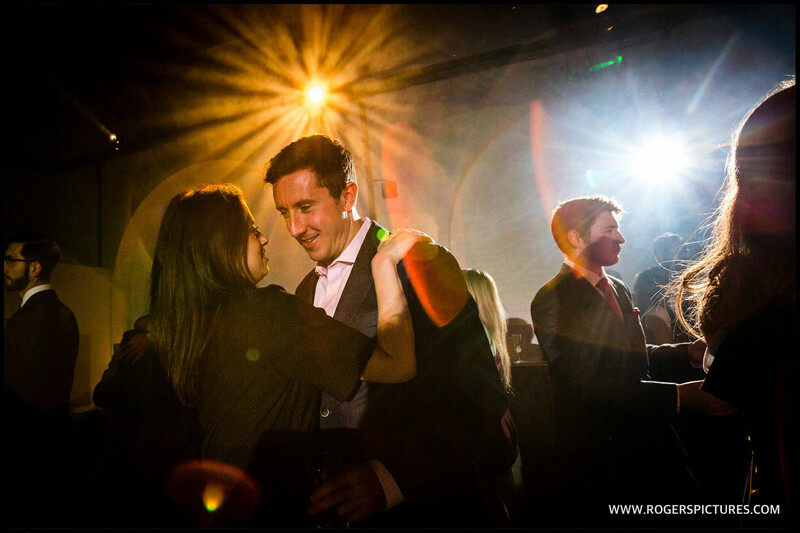 Whatever it is, if you’re looking for a Trinity Buoy Wharf wedding photographer for your celebration, check out some recent weddings I’ve photographed there. Hopefully you’re enjoying the photography here, and are interested in natural, unposed photography at your wedding. The vast majority of my clients have one thing in common. They love and appreciate photography, but don’t want their day to turn into a photoshoot! 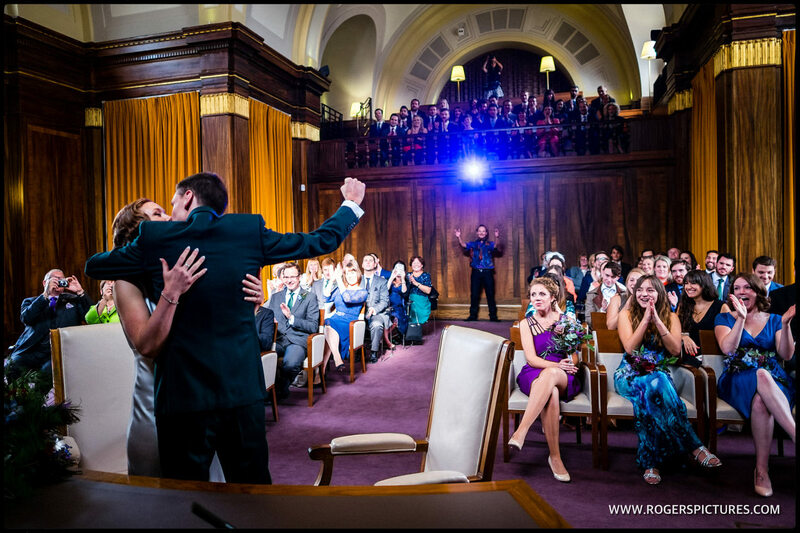 Documentary wedding photography or photojournalism is the answer. 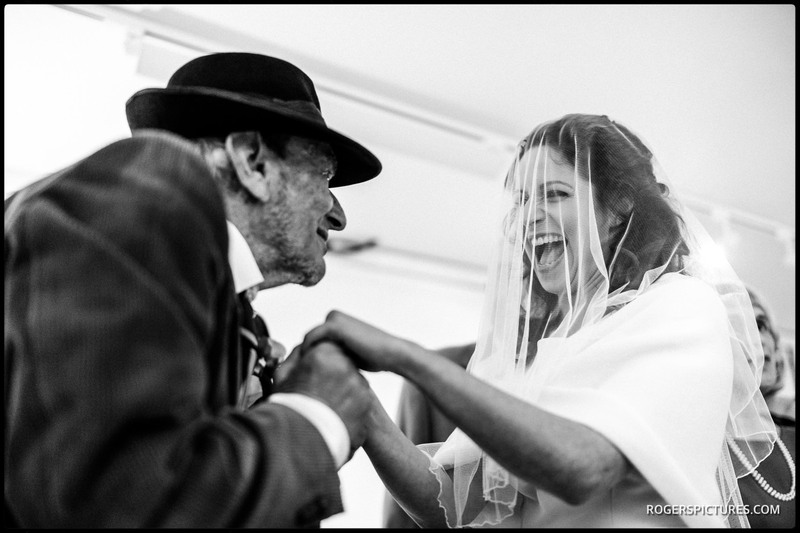 I use over 20 years experience as a news photojournalist at The Times newspaper in London to tell amazing, authentic wedding day stories in photos. 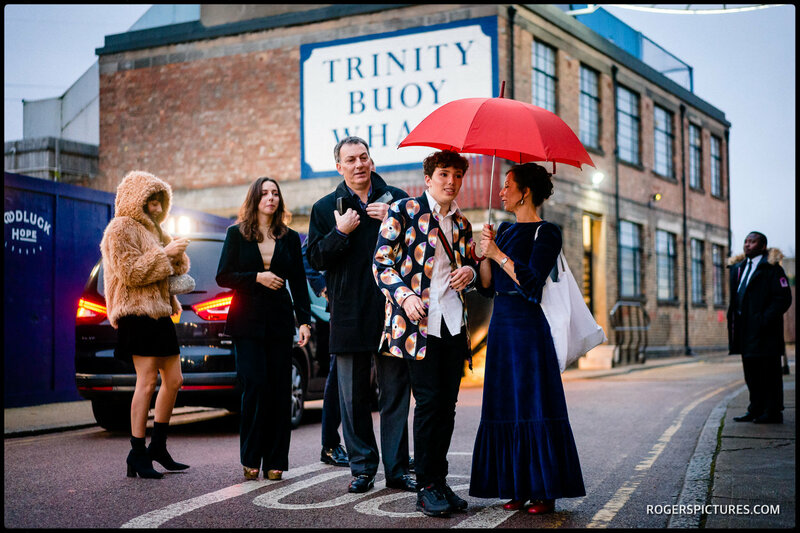 Like many wedding venues in London, there’s something unique and special about Trinity Buoy Wharf. In the heartland of London’s famous docklands, it’s convenient for city types as well as guests from across the globe with no less than 5 International Airports in the vicinity. It’s a former working dock, and contains the only lighthouse in London. And you can have pictures taken in there too! Trinity Buoy Wharf isn’t just one venue though. As well as Container City and an authentic American Diner, the heart of the Wharf is The Chainstore with the capacity for between 300 and 600 guests. The Wharf’s Jubilee Pier also has direct access to the River Thames, giving guests a unique arrival opportunity. 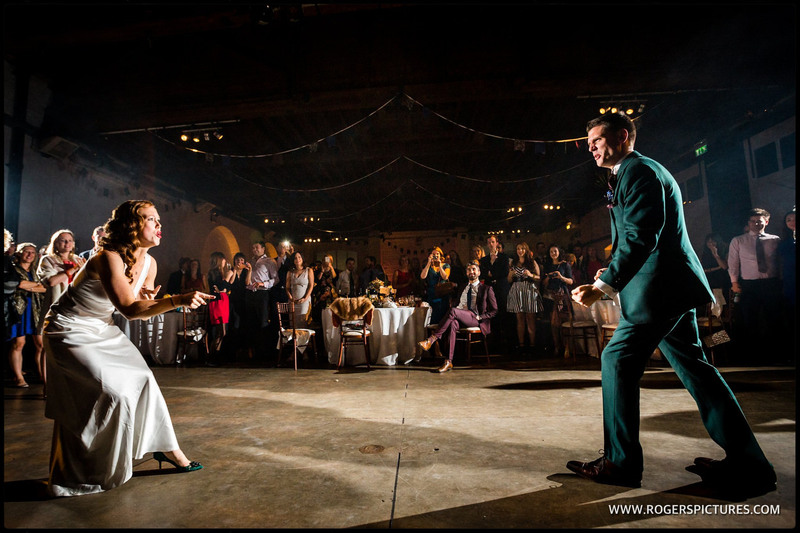 Check out some of my story-telling photography at Trinity Buoy Wharf below, then get in touch if you’d like some more information about commissioning me to be your Trinity Buoy Wharf wedding photographer.